If you’re in Germany, all you have to do is send postcards like always, as many as you can! If your December postcards are registered before the end of February 2019, you will be contributing to this cause and entering a draw to win some cool postal prizes. And although only postcards sent from Germany count, don’t forget that there’s always a receiver in every postcard exchange — so each time a card from Germany is registered, the recipient will be indirectly contributing to this donation too. One voucher for the Marke Individuell Online Shop worth €100. Three vouchers for the Marke Individuell Online Shop worth €40 each. Three post-themed messenger bags from Deutsche Post. Brilliant! As usual, Paulo will run his random number generator next March and we’ll reveal the total count of postcards sent (and money raised to Stiftung Lesen) here in the blog. Last year, a grand total of €8,685.80 was raised for this good cause! 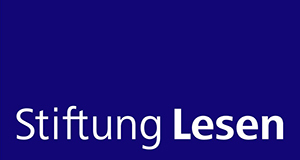 Stiftung Lesen is a German non-profit organization, working to increase literacy in the population, especially among children and adolescents. Their activities include reading clubs, media literacy projects and initiatives to promote the learning of German language by refugee families in the country. So… what are you waiting for? If you’re in Germany, get your postcards and stamps ready for December! The more cards you send, the more you’ll be helping this good cause! P.S. – As always, we respect your personal information and will not share it with any company without your explicit permission. The full details of this campaign can be read here (German only). As a resident in Sweden, my cards don't count for this campaign, but I love reading about the German postcrossers writing postcards like crazy in the German forum: https://forum.postcrossing.com/viewthread.php?tid=111254&page=28#pid9038366 . Let's see whether they can break last year's incredible number. Now I'll wait and hope for many, many postcards from Germany. I've been saving up slots as well and look forward to writing many, many cards again in December. :) It'd be great if we could break our record this year! I stopped sending out cards 2 weeks ago to be able to send loads of cards in December. 3, 2, 1.... go! OH NOO!! I saved up my slots to draw new addresses to be sent from Switzerland where I'm visiting my family!! Hopefully they will arrive soon then I will draw new ones for Germany. And I will keep this in mind for next year!! 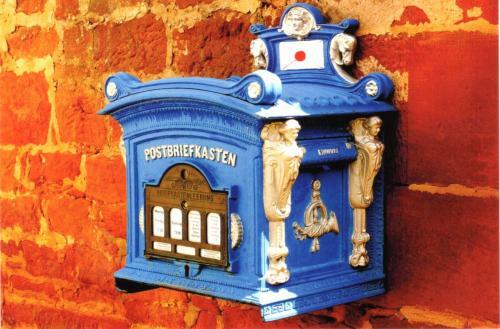 This is a wonderful idea and I hope my fellow German Postcrossers break last years record. I know how dedicated they are to this cause and I'm sure they will. This is great fun for a good cause. I look forward to lots of postcards from Germany! I've sent the last cards at the end of September and saved a lot of stamps and cards for the campaign. Now all my 50 slots are free and I'm looking forward to write as much cards as I can manage. Hope we get a new record this year. Ana, starts it again at midnight and with showing the date of 30th November for one hour? @-Bille- Exactly: it starts at midnight in Germany (even if the date on the cards requested between midnight and 1am will still show as November 30, as our servers are in UTC time). Awesome campaign! Good luck German postcrossers! Looking forward to registering lots of German postcards over the next three months ☺. It is fantastic that our wonderful hobby will also benefit someone else 🙆 . Of course, I look forward to registering every card I get. And remember that for every card you sent is registered a German postcrosser could be sending a postcard to you, so send away, everyone, for a good cause! Such a great idea! Congrats!!! Really it is a great project!!! I love my yellow messenger bag I won last year. Okay, perhaps my neighbors think I have a second job and deliver postcrossing cards. But I will participate again this year and send some more cards. Just this morning I requested 4 addresses so all my 10 slots are full. :-( Hopefully they'll arrive soon, and I can send more. I'll try to remember this for next year. Such an amazing event, good luck to all Germans postcrossers. Happy writing Germany! Awaiting your cards! December aka Christmas month is about sharing hope & kindness! I was about to get addresses when I read the new blog. Now I will wait two days and then write as many cards as I can. It's great that the action is taking place again! A great project! expecting a flood of DE cards! Cool... I will be very lucky if I receive a December postcard from Germany. That sounds fun! Wooohuuuu! I have some slots free, that's fine. Big deal; I just bought super cute and inexpensive Christmas Postcards. So which postcards count? Only Germany -> world or also Germany -> Germany? I would change my settings, if postcards in Germany don't count for this project. This really is a good cause! We get "starter" gift bags from Stiftung Lesen that we give out when young children's parents sign up for library cards. One gift bag is for parents of babies and toddlers. It has a book parents can read to their children and hints about encouraging children to be readers. Another gift bag is for kindergarten-age children. It has a bag large enough to be used as a book bag when the children check out books. It also has a book for the child and hints for the parents. These are really well-received, and the kindergarten kids are so proud to bring their own book bag into the library to take new books home with! Stiftung Lesen does other things too, but this is my experience with the charity. I will definitely send as many cards as I can next month! @KateWolfbaer All the postcards sent from Germany during December (which arrive until the end of February) count, no matter the destination. I work in a kindergarten and sometimes we get book-packages for free from Stiftung Lesen to work with the children on them, for example Little books with the topic of different cultures, with the topic to be curious in nature, the topic of the importance of sharing - or just a topic which children love, for example the "magic" in life. It is a great foundation! Aaahhh, I forgot about this til mid-November and don't have so many open spots yet, but several cards should be registered soon anyway and I'll be sure to send out a card right away every time a slot opens up. I did not write any postcard in November, so all my slots are free. I will ask for new addresses right away! This is wonderful! I hope to receive many postcards from Germany soon! Wow , sounds good ! I drew 12 addresses at 0:06 on December 1st but I guess that CET is not the time Postcrossing uses so now the cards appear as sent on November 30st in the list of travelling cards. Too bad. That's 1,20 € lost for this year. Last year I was able to contribute more than 10 € but this year due to a lack of time I won't be able to write half as many cards. @zwergi the campaign started at midnight in Germany — even if the date on the cards requested between midnight and 1am will still show as November 30, as our servers are in UTC time. So don't worry: all those postcards will count for this good cause! What a great campaign. I’ll be visiting my family in Germany for Christmas so will the rest of my December slots for this. Just hope that some of the cards currently traveling will arrive in the next 2 week’s or so - they are all traveling far. I draw more than 30 Cards in December hoping they will be registered by the end of February. More than 20 of mine are still on their way.